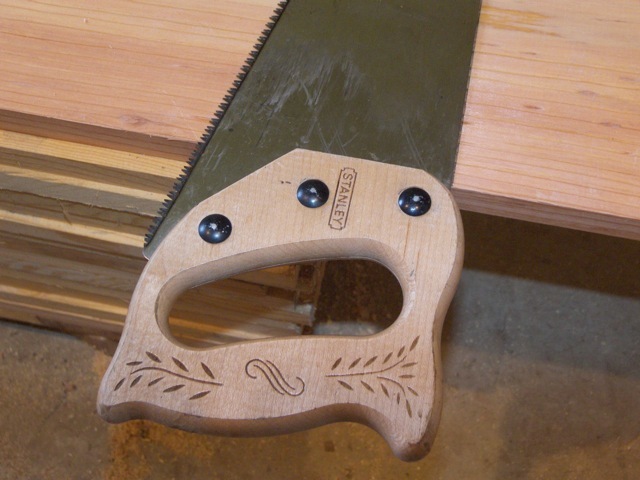 While holding the saw with one hand, use your pencil to draw a line down the board along the spine of your saw as in the picture below. The marked board is ready to cut. Whether you are using nails or screws, it is important to remember that fasteners can split your wood. Here are some ways to prevent your wood from splitting. If your fastener is too wide for the width of board you are using, the wood may split apart as you install the fastener. A good rule of thumb is to use fasteners whose diameter is one third to one half the width of the board you are fastening. For instance, if you are fastening wood with a 1 inch width, then use a nail or screw whose diameter is 1/3 inch to 1/2 inch. Position your nails or screws away from the edges of the board. 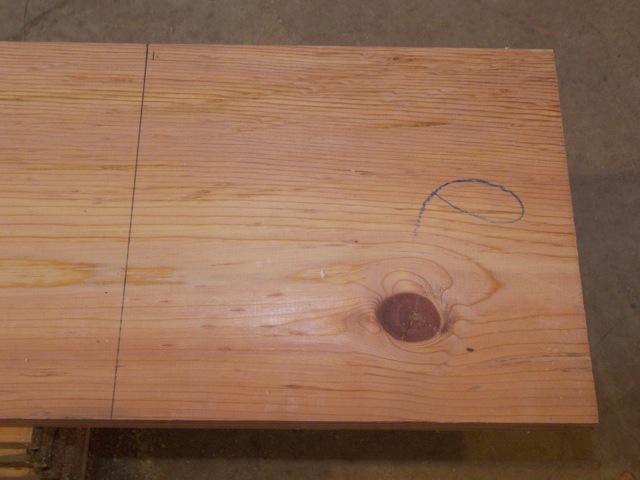 Your wood can split if the fasteners are installed right at the edge of the board. Make sure that the fastener is centered when fastening straight into the edge of a board. Also, watch that the fastener is vertical as it goes into the wood. This will help to keep your wood from splitting. In some cases you may need to pre-drill holes for your fasteners. Use a drill bit with a diameter a little smaller than that of the the nail or screw you will use. Drill a hole into the wood, then install your fastener into this hole. 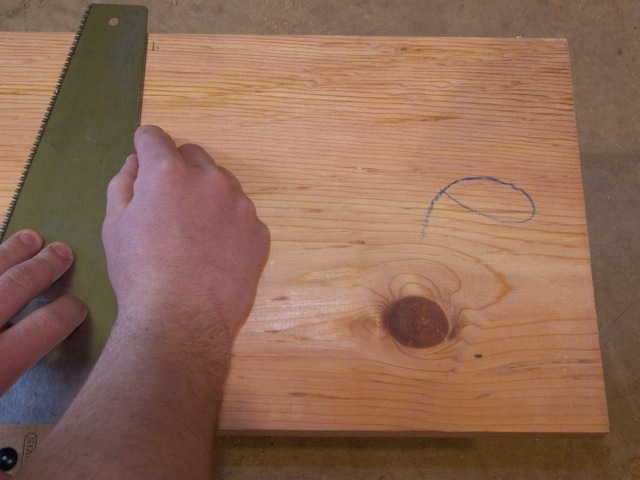 Pre-drilling is especially helpful for wood with knots, or for places in the board which could split easily. Working with wood can be dangerous. Always be sure to read and understand the user manuals that came with your tools. Use your tools, chemicals and finishes in accordance with their respective user manuals and the instructions that were provided with them. Always wear protective equipment and be sure to employ all of the safety features that came with your tools. 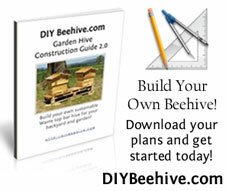 This safety warning does not address all of the potential dangers that could arise from using this construction guide or building a Warre hive. It is up to you to read and understand your user manuals and instructions for all of your tools, chemicals and finishes. Be smart with your tools, and use your common sense. Bee Safe! As you’ve been told many times, this is a great site and a very helpful resource. I have a question about the section “Choose the right size of fastener”. You mention using a screw that is 1/3″ to 1/2″ in diameter for a 1″ board. Am I understanding correctly? That sounds a bit wide. Great Info Matt. I thought that it may be interesting to all of you that 29% of injuries resulting from contact with objects or equipment were cuts, lacerations or punctures. Just a bit of information to remember when working with sharp object like saws. Hi, I am new to beekeeping and researching the various hive versions. I love this concept of natural comb building. My question… as you add new sections to the bottom how do you lift the top ones? Especially if you are three high. Hi Rick, each hive body is made with handles so you pull the 3 existing off 1 at a time, add the new one then restack the other 3 in the order they came off. I think he means the size of the screw/nail HEAD. They also make self drilling screws that will drill this pilot hole automatically.